I’m almost there! “Starting Out as an Indie Author” is nearly ready for publication. But first, I need some feedback on covers and the book description I’ve come up with. The first cover is based on the graphic I’ve been using for this series for some time now, with stock art I’ve already purchased, so it is more finished than my other two designs. The others have more the character of mock-ups, since I thought it would be fun to attempt something more playful as well. And as you can see in the covers, I haven’t purchased the art yet. They might be too playful, after all, and I wasn’t sure if it would be worth it to purchase the art. Have you written your first book and are considering self-publishing? Perhaps you have started looking into the possibility and are feeling overwhelmed by all the options, all the things you need to do and learn in order to become an indie author? Or maybe you aren’t even sure yet whether self-publishing is for you or not, and you want to find out more of what is involved before you decide. 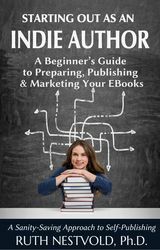 STARTING OUT AS AN INDIE AUTHOR was written for beginning self-publishers and covers the basics on where to sell your books, formatting for eBook and print, and developing marketing strategies. It includes a number of step-by-step instructions for everything from cover design, to setting up eBooks for various distributors, to creating ads with Facebook and Amazon Marketing Services. In addition, there is advice on any number of topics: eBook pricing, using distributors, how much to spend on self-publishing, and writing blurbs for your books. With this sanity-saving book as a guide, you will have a much better grasp on what is involved in self-publishing and will be able to approach the task realistically and with eyes wide open. Part I: Is Self-Publishing for You? Chapter 4: Why Editing is Important – and Who can Probably Skip the Expense After All. Do please let me know what you think! This is something I’ve thought about a lot, given the fact that there is a fair amount of violence in a number of my books. Source: My thoughts on trigger warnings. Question: When you’re looking for a new ebook, which is most likely to persuade you to buy? Please rank in order of priority. As I mentioned in my post about what to do if your books aren’t selling, I regard the blurb as one of the most important things you need to consider changing if you want to increase sales. Once you have managed to get eyes on your book, and the reader has clicked on the image of your cover, the blurb is your first big chance to persuade her to click “buy.” And as the poll results above show, it’s worth spending some time on. I don’t claim to be the greatest writer of blurbs out there, but before publishing Yseult back in 2012, I studied a lot of book descriptions and read a lot of how-to articles and posts. I analyzed blurbs in my genre that I thought were effective and tried to figure out the best way to do it. One thing I admit I still have not figured out is how to write book descriptions for short story collections. My normal strategy is to describe the kinds of stories in the book and then provide short descriptions for two or three. It does not seem to be particularly effective. 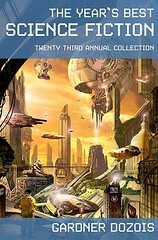 One of my collections, From Earth to Mars and Beyond, has probably sold less than a dozen copies total since I published it, which does not say a lot for my blurb-writing talents. Red Planet Adventures provides customized tours on Mars. Naturally, they have been optimized for safety. Soon, satellite coverage on the planet will even reach 100%! But what happens in the meantime … ? This description might give you an idea of the problem a collection or anthology faces that a single work — be it short story, novella, or novel — does not have: it is the book itself that must somehow be described, and not the main dilemma of the plot. And that is the single most important thing the book description must revolve around: the dilemma or problem. The catastrophe that is just around the corner. Yes and no. My Mars story presented something of a challenge in the opposite direction since, as I already mentioned, it doesn’t have a character. The standard recipe for blurbs is a character in a place with a problem. But another necessary element which sometimes gets short shrift is the tone or voice. It’s a bit like the first couple of pages of your book. In those pages, you are making a pact with the reader, communicating to her the kind of story she is about to read. Your blurb has to do the same thing. 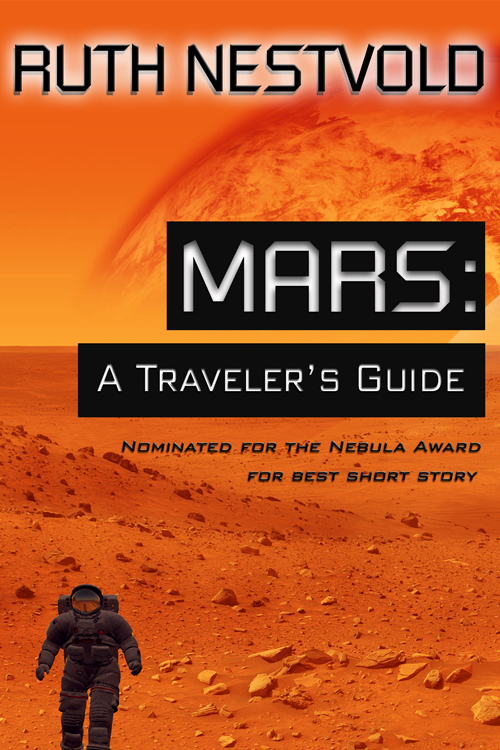 So for my Mars blurb, I chose the voice of the story, “Red Planet Adventures” — with the exception of the last sentence, which is the implied catastrophe. For the price of a truce, Yseult is sent to a world where magic is dying – to marry the father of the man she loves. 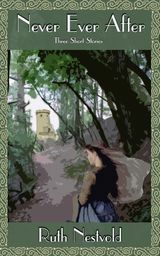 Marcus’s son Drystan would have saved her from a loveless marriage, but with her relatives being held hostage, Yseult cannot endanger them and must go through with the wedding. The tragic love story of Yseult and Drystan plays out against the backdrop of a violent world threatening to descend into the Dark Ages – only Arthur’s battles to push back the Saxon hordes can save what is left of civilization. With her background, Yseult could act as a bridge between the old age and the new – but will the price be too high? Yseult is almost 200,000 words long. The German translation is a door-stopper of over 700 pages. (I used some formatting tricks with the CreateSpace version of the English to get the page count — and the price — down, but it was a lot of work.) Nonetheless, I managed to get the description down to a handful of sentences, only a few more than I needed for a 10 page story. The big challenge in blurb writing is just that: distilling your story down to the bare essentials. Forget about getting all those cool characters and plot twists in. It’s all about condensing the main elements of your novel into a couple of short, snappy sentences. Skip the details, and cut to the chase! What do the blurbs from successful books look like? For some examples of truly successful books, here are the book descriptions of a couple of indie bestsellers in Epic Fantasy (one of my genres) at the time of this writing, that are right there next to GRRM and Joe Abercrombie and the like. Dante Galand is young. Penniless. Alone. But devoted to learning the dark magic of his world. His quest will take him from the city gutters to a foreign land of sorcerers. To a war for independence. And finally, to another war–this time, for his people’s very survival. Neither of these book descriptions provide the standard book blurb formula of a character in a place with a problem. Of course, “place” is not as important in fantasy, since the worlds are largely imagined. And both of these bestsellers are collections of novels. (As is #2, GRRM’s Kindle edition of Game of Thrones.) But it is interesting to note that Lindsay’s blurb does not name a single character, while Edward’s only names one. This is not the case for romance, however, in which both the female and male leads need to be named in the book description. Or a number of sub-genres of crime and thriller, which often give substantial weight to the personal problems of the main characters (especially in series novels), above and beyond the crimes to be solved. Miss Georgiana Blakelow has long given up the hope of marriage. Instead, she’s resigned to serving as governess to her siblings and saving the family estate from ruin. She might succeed, if only the wretch of an earl who won the estate at the gaming table would be reasonable. As the sparks fly, and as Lord Marcham finds himself unexpectedly attracted to Miss Blakelow, she becomes even more determined to keep him at a safe distance. The closer he gets, the more likely he is to discover that his bluestocking isn’t all that she seems. This blurb provides much more detail than the descriptions of the fantasy books given above, and names both the hero and the heroine. Several books I clicked on in this category use the same format: a paragraph for each of the love interests, detailing the conflict they will have to overcome to achieve the HEA. And how to get home. Once again, no names, but in “from the back cover” the five international main characters are described in more detail, all introduced with significant goals to increase potential conflict. What does that tell you about how to write your blurb? These blurbs from successful books are all very different, and with the exception of romance, none of them is very good at the “character in a place with a problem” formula. The one thing they have in common is that they all emphasize some kind of dilemma — and do their best to arouse the reader’s curiosity. So if you were hoping this post would give you a perfect recipe for writing your blurb, I’m afraid I will have to disappoint you. As you can see from the examples I provided above, book descriptions vary wildly from genre to genre. In my opinion, the best way to write a blurb is to go to the sub-genre you intend to conquer, copy a number of blurbs that you found particularly effective into a file, take them apart, and then try to describe your own book in the same way. It involves a certain amount of work, but given how high the book description scores in the poll I mentioned at the beginning of this article, it’s probably time well-invested. Why “write the next book” isn’t enough; Or: What to do if your books aren’t selling. In this installment of my series, I am going to take it as a given that you’ve written a good book and either had it professionally edited, or critiqued by several colleagues in a workshop or through critique exchanges, or sent the manuscript out to multiple beta readers — or all of the above. It the story is lame, the writing bad, or the manuscript riddled with spelling mistakes and grammatical errors, changing the cover or blurb won’t help increase sales. If your book hasn’t already been thoroughly torn apart by someone other than friends and family members, before you tweak any of the things I’ll be going into below, you might want to run it by some critique partners or beta readers first. By which I mean — very nearly not at all. Over a year ago, I got so frustrated with the way Amazon kept changing their algorithms and how difficult it was to keep up — I was selling less and less with more and more effort — that I quit marketing entirely and concentrated on writing and getting more books out. Everybody tells you the best thing for your indie career is to write the next book, after all. 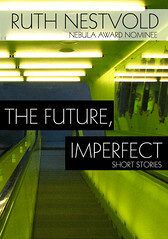 So I published another novel and another collection of short stories, and worked on getting Island of Glass finished. Well, the novel and the story collection both tanked, and the rest of my books started fading into oblivion right along with them. What was perhaps even worse, my incentive to write was fading right along with my sales. So when Island of Glass was ready for publication, I got the marketing machine going again. I’m not getting rich, and I can’t quit translating yet, but whereas last summer I was making less than $50 a month from my fiction, it is now back up to a couple hundred dollars. For that reason, I’m going to start my list with MARKETING. 1) You aren’t doing any (effective) marketing. The thing is, as painful as it might seem, we indie writers have ALL the responsibility for making our books visible, so that readers can find them and buy them. Traditionally published writers have to do a lot of the marketing these days as well (I know, I’ve been there.) But if nothing else, a book that is traditionally published is at the very least listed in the new releases of the publisher in question, which goes out to bookstores and creates a certain initial buzz. If indie authors want any kind of initial buzz, they have to create it themselves. On the other hand, an indie publication has the advantage that it won’t be remaindered (another thing I know from experience). Since your book isn’t fated to fly or die within six months, you can try new marketing strategies with it, can give it a push with a free run or an ad, can tweak the blurb and the keywords. But the fact of the matter is, as an indie author, you are responsible for the sales strategies. And you have to learn what will work for you. To give you a couple of examples from my own experience: from my Year of Marketing Dangerously, I learned that my incentive to write goes down proportionate to the smaller my audience gets. Yes, I am writing the kinds of books I want to read, but neither am I Emily Dickinson. I am not only writing for myself — I want to reach people with my words and my stories. And that means, I have to figure out ways of reaching my potential audience that don’t make me start cursing fate. Analyzing the situation, I realized that what I really don’t care much for is Facebook and Twitter (except when I’m tweeting with friends like my Villa Diodati folks). Blogging, otoh, I can do that, like it even. So, I concentrate my Internet presence on blogging, and make sure it’s connected to Facebook and my Twitter feed. It might not be the most effective method, but it’s the one I can concentrate on without dreading the work. But whether your thing is blogging, Facebook, or Twitter (or maybe even all three), that presence by itself usually isn’t enough. You have to do SOMETHING to get the word about your books out there. Marketing. Somehow, you’re going to have to figure out a way to make it palatable to you personally. Me, I like a good puzzle. And that’s the thing I finally hit on to make marketing more interesting to me. Starting various experiments is a challenge I can get into. I have no idea what might make getting the word about your books out there more appealing for you, but as an indie author, you’ll need to find something. 2) Your cover doesn’t inspire people to click on the book in the first place. You are convinced your cover design skills are great, and you are very proud of the covers you created yourself, sure that they totally reflect the spirit of the story. Who could possibly catch its essence better than you, the writer? Easy: a professional cover designer. And when it comes right down to it, capturing the essence of your story isn’t the important thing. It’s getting readers to click on your link. You may have created a wonderful cover that includes hints of all the major elements of your novel — but in thumbnail it looks like a confused mess. Or you’ve created the perfect illustration of an integral scene in Bryce or some other 3D software — and in thumbnail it looks like a 3D rendered image with a title slapped on. Or you found cheap stock art, since you want to keep costs down, and added the title in Gimp, since that’s easy enough — only to discover that there’s book after ebook on Amazon using the same stock photo. 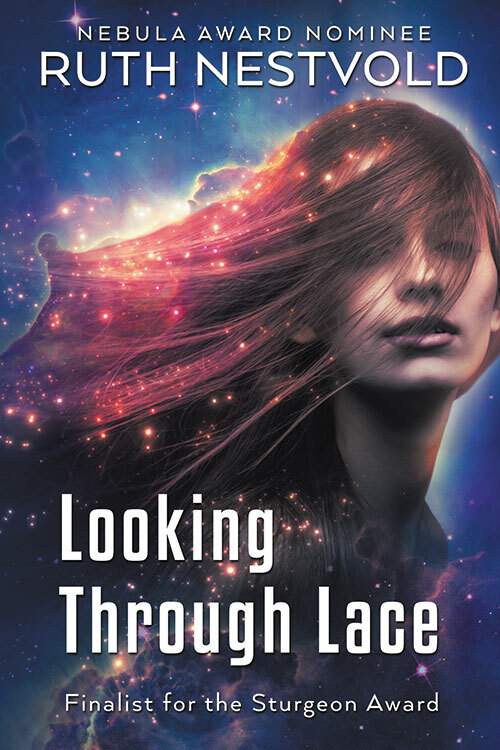 Whether you do it yourself or not, more than anything else you need a cover that’s arresting, that draws the reader’s eye, that makes her look twice and that’s appropriate to the genre. 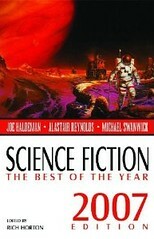 If your ideal reader doesn’t see the thumbnail and think “ooh, that looks kinda cool!” it’s a fail. It has to be more than functional. It has to be eye-catching. Advice: take a step back and look at your covers in thumbnail with the eye of a reader. Would you click on the image? If not, consider redoing your cover. Alternatively, if you have an honest friend who can tell you anything without the risk of you never speaking to him or her again, ask for an honest opinion of your covers in thumbnail. It can be ridiculously hard for us to step outside of ourselves. The fact of the matter is, for any book that isn’t selling (assuming the author is doing some marketing to get it into the public eye and the writing isn’t absolute dreck), the first thing that usually needs to be changed is the cover. It may be true that you can’t *judge* a book by its cover, but it is also true that you cannot entice a reader to try out your book with a sub-par cover. 3) Your blurb isn’t exciting and doesn’t inspire readers to even read the excerpt. So let’s say you’re doing a free run to get a few more eyes on your book, and you already have a cover that has inspired your target reader to click on the link. The next hurdle to overcome in reader resistance is the blurb. Does it make the reader curious and raise questions in her mind that have to be answered? Or is it more of a summary of events that happen in your book, without context? In the ruins of a place once known as North America lies the nation of Panem, a shining Capitol surrounded by twelve outlying districts. The Capitol is harsh and cruel and keeps the districts in line by forcing them all to send one boy and one girl between the ages of twelve and eighteen to participate in the annual Hunger Games, a fight to the death on live TV. Sixteen-year-old Katniss Everdeen, who lives alone with her mother and younger sister, regards it as a death sentence when she is forced to represent her district in the Games. But Katniss has been close to dead and survival, for her, is second nature. Without really meaning to, she becomes a contender. 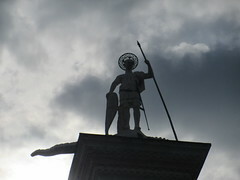 But if she is to win, she will have to start making choices that weigh survival against humanity and life against love. In the real blurb, there is very little specific info about what actually happens to the main character, and NO additional names, other than that of Panem. It concentrates on the big picture and the essential conflict. 4) Your excerpt (the first however many pages of your book) doesn’t raise enough questions in the reader’s mind to make him or her feel compelled to buy the book. Of course, as I mentioned above, I’m assuming here that your prose is not full of errors or awkward constructions that will turn a reader off after a page or two. I personally never buy an ebook without downloading the sample first. Any spelling mistakes or sentences that have me itching for a red pen will make me delete the sample immediately, and good riddance. But most of the writers who will be reading this are not those who will be uploading the kind of error-ridden manuscripts that give indie writers a bad name. On the other hand, even when the book we wrote is quite good, a lot of us haven’t given much thought to how those first few pages might strike a reader who’s gotten far enough to check out the excerpt. Does it (like the blurb) make the reader curious and want to know more? Does it dazzle her with beautiful prose? Does it paint a picture of a character so interesting, the reader wants to spend many more hours with him or her? Your excerpt doesn’t have to do all these things, but it should at least do one. – Why Is My Book Not Selling? I know that for some people that’s a daily word count, but I’ve been stuck for so many years at 500 words a day, five days a week, that for me this is starting to look like the beginning of a breakthrough. I’m not going to celebrate too much yet. First I want to see if it really does become a habit — and maybe even something I can improve on! Anyway, on to your WIPpet for Thursday. WIPpet Wednesday is the brain child of K. L. Schwengel. If you’d like to participate, post an excerpt from your WIP on your blog, something that relates to the date in some way. Then add your link here — where you can also read the other excerpts. The second book of Yseult, a #1 bestseller in Arthurian and Historical Fantasy! Drystan had imagined his homecoming very differently — not returning to a father who is breaking treaties and sleeping with his niece. In order to save the family honor, Drystan fights a duel and is seriously wounded. His only hope lies in the mysterious land of Eriu, with the famous healer and queen, Yseult the Wise. When he sets out for Eriu, Drystan does not expect to survive the journey. Nor does he expect to fall in love with the queen’s daughter, Yseult the Fair. If only the man he had killed in the duel had not been Yseult’s uncle and the queen’s brother. 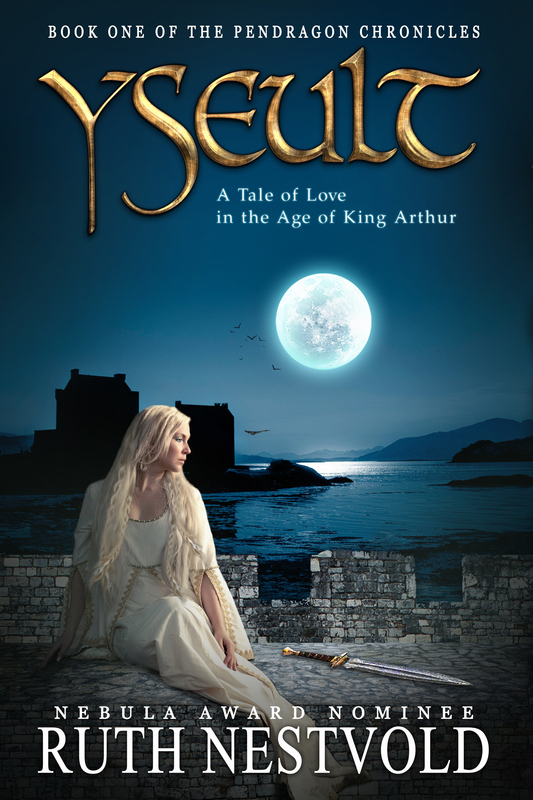 Yseult is a retelling of the tragic love story of Tristan and Isolde, an Arthurian romance with roots going back far into the realm of legend and the undying tales of King Arthur. So what do you guys think? Is it too much reciting what happens and not enough suspense to intrigue the reader? Please do rip it apart! I was very happy with your critiques last week and completely redid the description as a result. Thank you all so much! The last few days have been all about marketing, and I haven’t gotten much writing done. But I did have a fairly successful week last week, with a total word count of 4100 words. Oh, and if you haven’t seen the interview with our own Kate Sparkes that I posted on Monday, check it out! The marketing activity this week has to do with the experiment I wrote about in my last blog post, splitting Yseult up into four parts and uploading each individually. I started on that yesterday, publishing Part I to Amazon and Draft2Digital. It is now available on Amazon, iTunes, and Kobo (hasn’t published to B&N yet). Anyway, here’s what I have right now. (It’s not the same as on Amazon, since, as I said, I’ve been messing with it.) Please tear it apart! 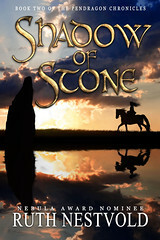 The #1 Amazon Bestseller in Arthurian Fantasy for 14 Weeks! 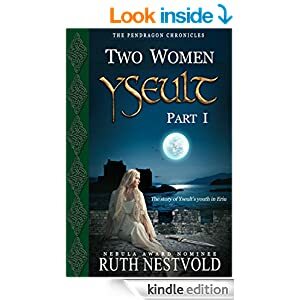 Yseult: A Tale of love in the Age of King Arthur is a retelling of the tragedy of Tristan and Yseult, a story older than Romeo and Juliet or Lancelot and Guinevere; an Arthurian romance with roots going back far into the realm of legend and the undying tales of King Arthur. “Part I: Two Women” is a re-imagining of Yseult’s youth, never part of the legends — until now. The tragic love story of Tristan and Yseult has been told many times and in many ways, but always Yseult is a princess of Ireland, a land on the fringes of Europe, a land that had never been conquered by Rome. But what would her life have been like in that pagan land before the advent of Christianity? 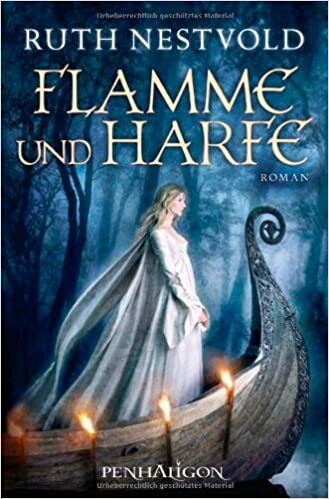 Yseult was originally published in German translation with Random House Germany as Flamme und Harfe, and followed by translations into Dutch and Italian. WIPpet Wednesday is the brain child of K. L. Schwengel. If you’d like to participate, post an excerpt from your WIP on your blog, something that relates to the date in some way. Then add your link here — where you can also read the other excerpts. As I’ve mentioned in my last couple of posts, I have once again switched from creative, “new words” mode to editing and formatting mode. But I think once I have Island of Glass published, my brain will be out of mourning enough that I can I can get back to creating new words on a fairly regular basis. 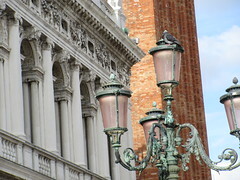 On Saturday, I woke up dreaming about the story I want to write in the Villa Diodati shared world that I mentioned here. That inspired me to call up the file, and I added nearly 500 words to my tale. Other than that, this week I’ve been beta reading and putting together the glossary, author notes and other back matter for Island of Glass. All of that did actually add up to 2200 new words — just not fiction. Still, together that gives me 2700 words for the week, much better than I expected. So what do you all think? Seventeen-year-old Chiara Dragoni is a master glassmaker of Venice, a position that is both a privilege — and a trap. 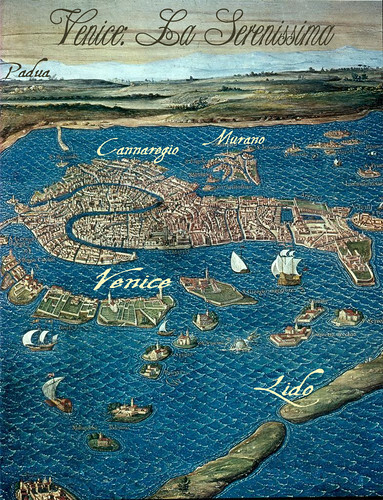 For the glassmakers of Murano are forbidden to ever leave the islands of the Venetian lagoon. 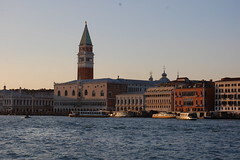 When Chiara’s uncle is caught on the mainland and thrown into the dungeon of the Doge’s Palace, she must use all her talents, including magic, to help free him. But the gift she creates for the ruling prince of Venice has unintended consequences, and now Chiara must decide whether to give up everything — and everyone — she knows and loves to save her dream. I didn’t get around to posting an update on Sunday because we were painting in the new apartment where my son and his family are going to move in. Afterwards, catching up on the translation and new word goals took up too much time and I didn’t feel like blogging anymore. Right now, I’m up to chapter 6 on the edits. I really want to get this baby published by the end of the month, so I’m giving up on new word goals until I do. So far this week, I’ve managed 500 words on the thriller, and that will be it until I get CIAM done. Pulling a notebook and pen out of a back pocket of her jeans, Billie sat down at the table in front of the mirror. The little pocket-sized notebook was her constant companion, her resource for notes for all occasions. She liked to “collect images” as she called it; they were the raw material for her poems and songs. Desperation made her memory especially clear, and she soon had a working copy of the lines to Clarinda. Her stomach clamping painfully, Billie looked into the mirror and read the verses out loud. Nothing. She read the verses last line first. Nothing. She read them backwards, word by word. Still nothing. She stood up, gripping the lute, posed and pranced and tried all three methods all over, but the only feeling of nausea she experienced was from disappointment. She sat down again, her insides hollow. She drew a deep breath, and another. It all had to be a dream anyway, so what did it matter? She wished she could force herself to wake up, but since she couldn’t, she might as well acquaint herself with the lute. Unfortunately, she’d never played a lute before. She knew it was related to the mandolin somehow, but that didn’t solve her problem of how to tune the damn thing. What was she supposed to do with the extra pair of strings or that last single string? Simple: ignore them. The main thing was to get the instrument into some kind of working order so she could play it. She would tune the fifth to second courses like a mandolin and the others an octave higher. That way at least she’d know where to put her fingers. Luckily, the strings appeared to be relatively new; the lute must have been restrung before it was stashed in the cellar. By the time she had urged the instrument into “G”, “D”, “A” and “E”, she’d regained some of her usual equilibrium. But just as she almost reached the second “G”, the string snapped with a loud twang. She jumped, the lute sliding out of her lap and onto the floor. Billie put her head in her fists and burst into tears. Mix thoroughly, and you have a Chameleon in a Mirror. Billie Armstrong has long wanted to give Aphra Behn, the first professional woman writer in English, the prominence she deserves. 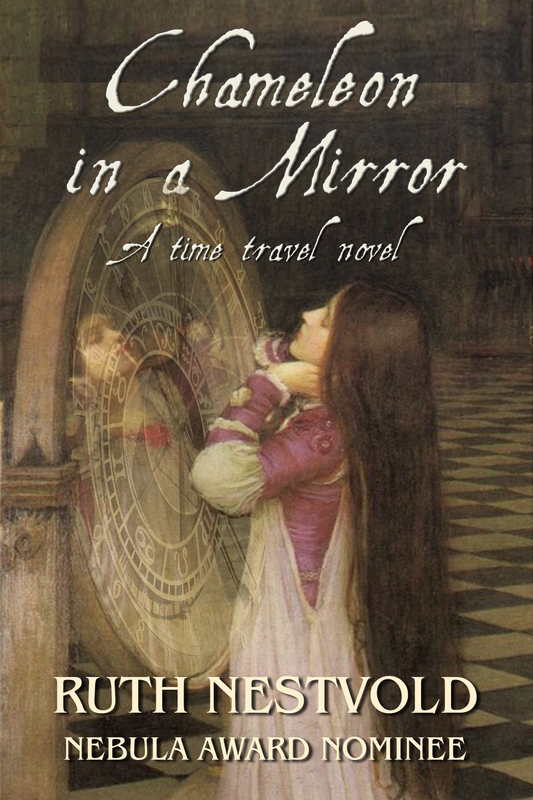 But when Billie accidentally activates the magical properties of a baroque mirror, propelling herself into the seventeenth century, she gets more than she bargained for. What develops is an unwilling masquerade in a tale of license, love and literature, a high-spirited Restoration romp, as Billie does her best to survive in a strange era and ensure Aphra’s literary survival in the future. Why not consider buying one of my books? 44300 / 70000 words. 63% done! 49600 / 40000 words. 124% done! 75000 / 80000 words. 94% done! 23200 / 25000 words. 93% done! 35000 / 25000 words. 140% done! 4100 / 25000 words. 16% done! 27000 / 25000 words. 108% done! FREE ebook for signing up! 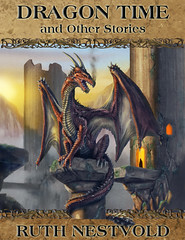 Sign up for my newsletter and get a FREE copy of my short story collection, "Never Ever After"! 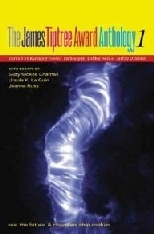 Contains my story "Exit Without Saving"
Contains my story "Looking Through Lace"
Contains my story (with Jay Lake) "The Big Ice"
Contains my story (with Jay Lake) "The Canadian Who Came Almost All the Way Back From the Stars"